We live in the marketing age of all things natural, organic, and sustainable. Some astute observers are turning to the natural world for examples of practices that allow human beings to work together effectively in the age of the self-managed organization. Ken Thompson's book Bioteams: High Performance Teams Based on Natures Most Successful Designs describes how to create high performance teams based on examples found in the natural world. As he notes in the first chapter, "after [nature's] 3.8 billion years of research and development, failures are fossils, and what surrounds us is the secret to survival. Like the viceroy butterfly imitating the monarch, we humans are imitating the best and brightest organisms in our habitat." The idea of biomimetics really began, Thompson observes, in the 1940's when a Swiss inventor noticed how certain plant seeds clung to his clothing. Closer examination led to the discovery of a unique hook-and-loop mechanism, which led to the invention of Velcro. From that point, it was only a matter of time before theorists began to think more deeply about how to adapt nature's designs for human use. Thompson observes that bioteaming is simply the application of biomimetics to group effectiveness in human organizations. What better opportunity to apply the lessons of bioteaming than to a self-managed organization, where individual members enjoy a large quantum of autonomy in pursuit of their respective missions? Absent the friction of bureaucracy and hierarchy, these organizations should be uniquely equipped to avail themselves of the best analogies that nature has to offer. There are plenty to choose from. From the ant world we learn about the power of instant short-burst, whole-group broadcast communication. Ants communicate both opportunity (food) and threat (predator) messages through whole-group chemical broadcasts. These short messages require no response (eliminating the need for two-stage communication), and trigger message receivers to act instantly. Efficient, and effective. Short-burst communication is not only efficient and effective, it's also lucrative. In its last round of funding announced on April 1, 2016, fast-growing workplace collaboration startup Slack (so named because it helped founder Stewart Butterfield and his employees communicate with less tension) was valued at $3.8 billion. Butterfield says his goal is to end "interoffice email" because it's a less efficient system than messaging. Competitors have taken notice. Companies like Chatwork, Ryver, HipChat, Lua and Switch are all vying for a piece of the growing collaborative workspace pie--and changing the nature of work itself. Thompson notes that traditional organizations rely heavily on permission structures to protect against mistakes by individual members. Bioteams, on the other hand, obliterate those structures and drive accountability through transparency and reliance on reputation. Accountability then becomes the natural consequence of bioteaming, not an artifact of hierarchical authority structures. Self-Management. Individuals react and collaborate in response to information, not command-and-control orders. Non-Verbal Communication. Team members do not rely on face-t0-face communication, but work asynchronously across geographic locations and time zones. Verbal communication is fine, when possible, but not necessary to achieve goals. Bias for Action. Team members problem-solve and learn through rapid, evolutionary experimentation and feedback. As individuals, they have hard-wired concrete goals but no fixed strategies for achieving them. When something works, it's communicated, reinforced and embedded in the collective set of responses to the next challenge. When something doesn't work, it simply dies. The key to success is being experimental, not prescriptive. Three Dimensions. Team members thrive best when they relate to their fellow team members, their organization as a whole and the external environment. Web-based collaboration technologies (like Slack and its competitors) can support connectivity with all three dimensions--creating more effective team members. Motivation and Conflict. Bees, ants, birds and microbes simply react and respond to stimuli--they have no choice in the matter. Human beings are entirely different--they have the power to choose their response in any given situation. There are lots of ways to support individual effectiveness in the workplace of the future: coaching, mentoring, facilitation, mediation, skill building, and many more. Myriad books, programs, methodologies and consultancies are dedicated to these disciplines--all focused on helping team members make the most effective choices about time, talent, resources and relationships. Individuality. 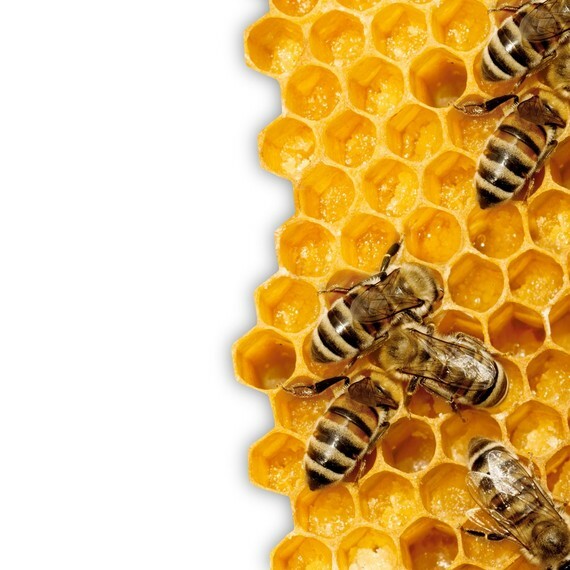 One member's mistake in a beehive or an ant colony doesn't really matter--there are thousands of peers doing the exact same thing. On a human team, aberrant behavior or gross incompetence is a huge and potentially destructive deal (imagine boarding a commercial airline flight with "pilot" Frank Abegnale, Jr.!). Peer accountability and transparency are crucial to mitigating the risk of individual failure. Human Intelligence. As Thompson notes, a principle of biological teams is that complex group behavior can arise from simple individual behavior given sufficient time, scale and feedback loops. Well-coordinated human teams can produce dazzling results even if the individuals aren't dazzling by themselves. That's the power of bioteaming. The founder of the 5900-member Employee Engagement Network, David Zinger, launched a three-year study of honey bees to distill powerful lessons for human organizations. In his e-book Waggle: 39 Ways to Improve Human Organizations, Work, and Engagement, he notes the need for incessant collaboration and the need to stay connected with one's organization. Zinger also shares a link to a YouTube video called the The Waggle Dance of the Honeybee from the Georgia Tech College of Computing. Research demonstrates that bee collaboration is incredibly sophisticated and mathematically precise, enabling individual bees to independently fly to food sources at great distances with astonishing efficiency. With tools like Slack and over one millions words available in the English language, one would think that humans should be able to collaborate effectively even without waggle dancing. The power and elegance of bioteaming is indisputable. Whether organizational leaders will detach themselves from the perceived security blanket of traditional, artificial hierarchy in order to fully experience that power is another question entirely. 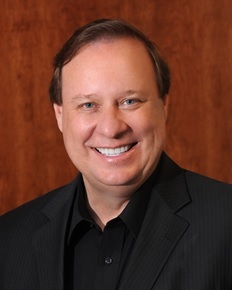 Doug Kirkpatrick is the author of Beyond Empowerment, The Age of the Self-Managed Organization. He is an organizational change consultant, TEDx and keynote speaker, executive coach, writer, educator and SPHR. He played the first season of his business career in the manufacturing sector, principally with The Morning Star Company of Sacramento, California, a world leader in the food industry, as a financial controller and administrator. He now engages with the Morning Star Self-Management Institute, Great Work Cultures, The Center for Innovative Cultures and other vibrant organizations and leaders to co-create the future of management. Contact Doug at Twitter @Redshifter3.